How do the investors get their money back? I am pretty sure they are not doing it for free. I.bet you we guaranty a 30 year lease for millions of dollars. The city has wanted to.do.the same thi.g with the Municipal/justice complex. The catch was the multimillion deal. I get the desire to avoid a vote, voters turned down dropping a couple hundred million to save the dome last time, and I get the idea that it is going to cost tens of millions to dismantle, though I can’t shake the belief those numbers were greatly inflated on purpose. As an individual well versed in finance, both public and private sector, at least according to my graduate school committee decades ago, I’m curious how many out there really think this latest idea is going to lack a significant public fund contribution and guarantee to any investors. Using the Houston Zoo model, we know the city pays a management fee of $9+ million per year and it increases each year, the bulk of private funding coming from a small handful of donors. The city also contributed the entire initial capital investment and has other ways of funneling money and resources as it sees fit just as the zoo pays no taxes. The Dome, on the other hand, has been continually decaying for a very long time and needs huge capital expenditures just to render it safe, never mind “re-envisioning it” into something it was never intended to be. The nearly $300 million recommended several years ago that voters nixed is almost certainly much higher now plus the desired upgrades and lack of big oil donors to come and save the day with deep pockets means increasing amounts of taxpayer money would be needed. The suggestion that a souvenir shop, concession stand, and small number of people willing to contribute pocket change will fund anything of significance is curious at best. So a lack of bond money is not the be all, end all of fiscally conservation folks, merely a way for the same old players to get their way despite voters making it clear they wanted no part of it. Steven, you know I hate tooting your horn but well said. PK, I rather think that you like all the times we agree on things and embrace that we agree despite our differences or arriving at the same conclusion from a different angle. I know that’s how I feel about some of your posts (and those of others). I agree with your assessment. This is just a 4th and long attempt to circumvent the voters, who I believe have spoken. With apologies to RR, Mr. Emmett, tear down this dome. wasn’t the vote to turn it into a convention center? I can’t think of anything more boring than that. Jules, would you support such a plan if it was more “exciting” in some manner? Obviously there are no private sector developers willing to have anything to do with it unless all or most of the financial risk is removed, a good sign that any potential plan lacks true viability. 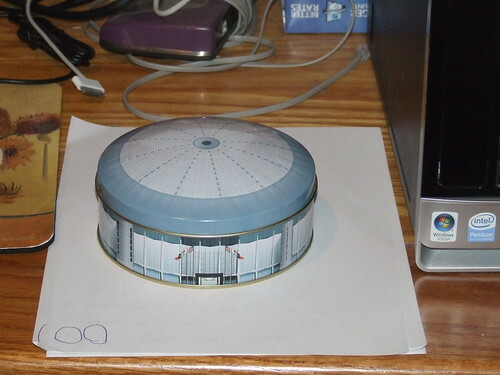 Hey, I’ve got an idea….maybe we can get the Export-Import Bank to guarantee loans for the redevelopment of the Dome. I like the idea or turning it into a skeleton/park. I may have actually voted for the boring convention center, I don’t remember.